There is so many roles that a leader can take on. A good trait for a leader is to be creative. The creativity and innovation are the prime objectives of leadership, there are multiple dimensions of creativity and innovation. There are lots of models was developed and compared with the theoretical model in which some differences and new perspectives emerged. The factors trust relationship, working environment, management support and customer orientations are some of the features. It is the probability of successful change, which influence the degree to which creativity and innovation are stimulated and promoted (Harvard Business Review, 2008). Although, the requirement of creativity required at every level but primarily it’s the focus of the management. Creativity is the essential to the entrepreneurship that gets new businesses globally. There is need to encourage new ideas to the team members so they have the proper understanding of new innovation. There is another method to coach, teams from staying away from emotional feelings; are sometimes considered as a brain storming process. As an entrepreneur, I’ve experience that working with my team as one on one basis for certain high performance operations have shown great success with lots of collaboration. Leadership plays an important role in structuring an organization and it is considered as an individual influence on different stakeholders of an organization. It also gives the direction to an organization with motivation that makes an organization coherent and cohesive. 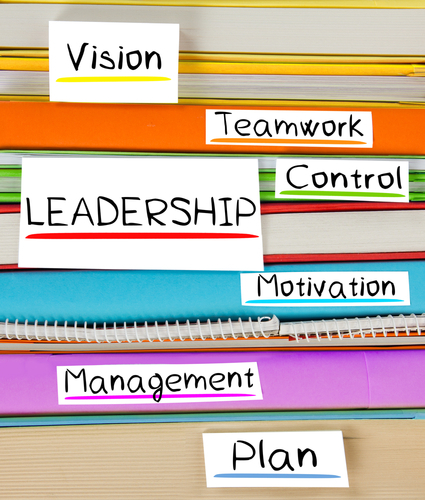 Leadership is considered an individual norms and it needs to apply on expertise of human resource of an organization. There are some important philosophies provided on explaining the concepts of leadership are Weber (1948), Burns (1978) & Goleman (1995). While considered as Intellectual stimulation also emphasizes towards removal non-traditional thinking and generates new ways for completion of target (Wink, 2012). There is need that I have scouted out individuals, who are smart in what they do, not afraid hard work and looking for continuous growth but it needs critical assumptions that must be appropriate and accurate. What is the end goal? How do you want to grow & what you foresee for your work? What do you visualize for your family life or friendships? What do you envision for yourself as a leader? The above are some scaring question which would resolve over the period of time for leader. I was merging creativity and productivity together Shalley (1991). I have really adapted to this way because it has stimulated team feedback. When you thought about consultation regarding leadership it involves values, principles, or other relative activities. But you have to make sure that procedures that are used would not involve any duplication. There are various operational tasks that have developed and implemented. There are need trained team members that are doing the task coming up with ideas on how this is working for me, how can I make it work more efficient for others etc. I will ask team members questions about the task and ask them if they can how can they refine it. Like my experiences, those who want leadership and promotion will come up with a faster way in refining the task and leading me to more research and development of the task. There is always room for improvement for implementing new practices of leadership and new practices is termed as innovations. Leaders must learn how to create an organizational climate where others apply innovative thinking to solve problems and develop new products and services. It is about growing a culture of innovation, not just hiring a few creative out-liers. How can you help others to think differently and work in new ways to face challenges? What can be done to innovate when all resources are stressed and constrained? How can you stay alive and stay ahead of the competition? Let see what really seeing how can we make it workable? Feedback is considered as one of the important a phase in the development of leadership practices. If it’s possible for all team members to provide organized feedback that keep the ideas alive, moving forward in production and creativity. For organizing feedback it is required to align the structure and collaborate the team members with each other. There is need of proper feedback for managers and supervisors because we are working in complex environment. It would open the door of new dimensions of leadership that contributes towards the effectiveness of team. The improvement can be monitor due to proper feedback and it increases the ability to achieve the targets for an organization (Continue.uottawa.ca, 2016).